Start in Hay on Wye, book capital of the world before striking out for the bustling market town of Brecon. Enjoy the scenery of the A4069, arriving at Henryhd Waterfalls. 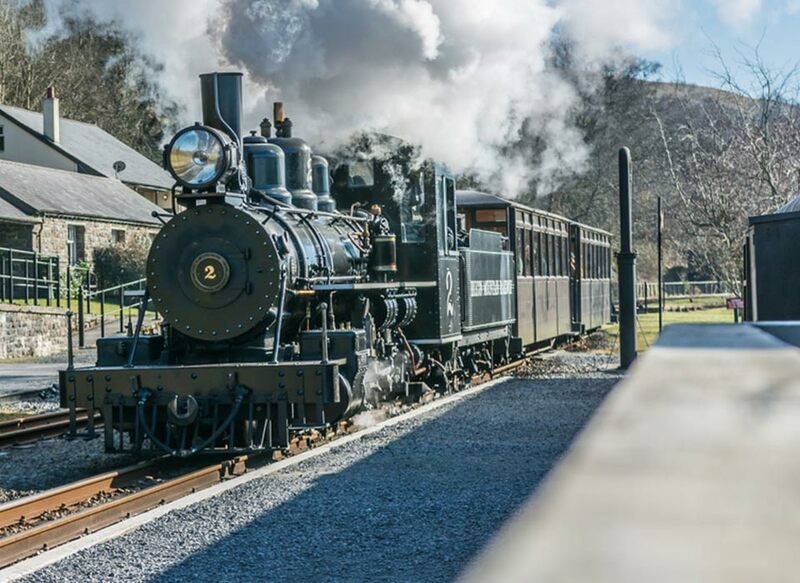 Spend some time walking the valley and enjoying the waterfalls of Ystradfellte before taking a ride on the Brecon Mountain Railway. Pass through Crickhowell pausing at Tretower before arriving at Llangorse Lake. On the welsh borders and famed for its book festival this small town and castle ruins is a great place to start exploring the area. There is no shortage of ways to enjoy the stunning scenery whether driving, cycling, walking and canoeing. Nearby Llanthony Priory was one of the earliest houses of Augustinian canons to be founded in Britain. It is chiefly famous today for its wild and beautiful setting. On the banks of the Monmouthshire and Brecon canal this is a lovely market town and city with a charming Cathedral, castle ruins and fine examples of Georgian town houses. The regimental museum of the Royal Welsh Fusiliers famed for their defence of Rourke’s Drift in the Zulu Wars, then known as the 23rd Foot, is based in the town. Driving enthusiasts and lovers of spectacular scenery will love to drive along the A4069. Sharp hairpins, open moorland and numerous twists, dips and climbs featured on Top Gear in 2011 attract many to this road but watch out for sheep and speed cameras not forgetting to stop in the many laybys to admire the views. Sgwd Henrhyd is the tallest waterfall in southern Wales with a drop of 90 feet. It lies on National Trust land on the southern edge of the Brecon Beacons National Park where the Nant Llech drops over the faulted edge of a hard sandstone known as the Farewell Rock. After a steep walk you can see the falls, which also doubled as the entrance to the Batcaves. The village is popular for the nearby 4 waterfalls and caves set in wooded valleys in total contrast to the barren mountains to the north. Past two main falls on the river the climax of the walk is at Sgŵd yr Eira where you take the footpath down to stand behind the veil of the waterfall. The river Mellte disappears into the mouth of White Horse Cave. This cave has a large entrance at nearly 20 metres wide and 3 metres high. 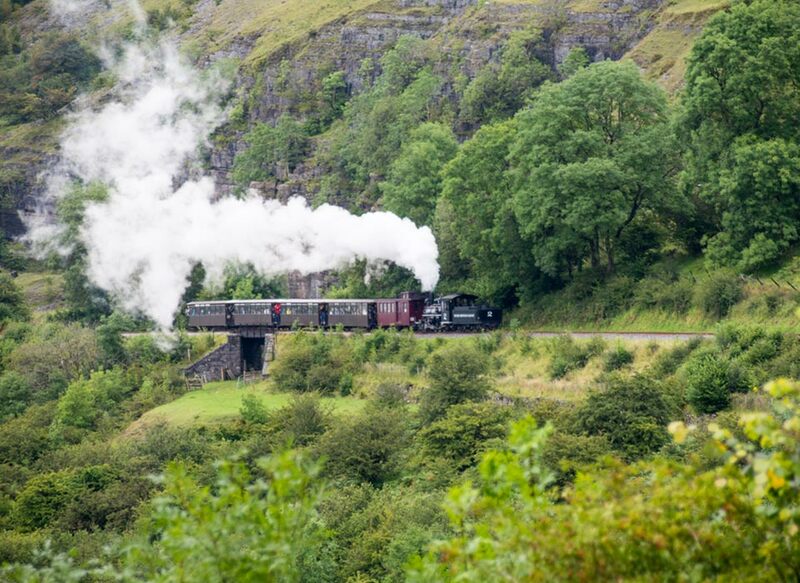 For a relaxing way to explore the National Park try the vintage steam railway from Pant to Torpantau in an all-weather Observation Carriages. The journey takes you through Pontsticill and along the full length of the Taf Fechan Reservior before climbing to Torpantau high in the Brecon Beacons and the summit of the original line. On the River Usk with a 17th century stone bridge, don’t forget to count the arches from both sides of the river, with both castle ruins and an iron age hill fort this a delightful market town to explore. This huge privately owned estate includes 5 miles of the enchanting River Usk and the lovely Tower Bridge. There are 16,000 acres of common land containing ancient Celtic standing stones awaiting walkers. The 13th century Tretower castle ruins and the adjacent fortified medieval manor house Tretower Court featuring a magnificent vaulted timbered ceiling are fine examples of the period. After 20th century renovation the Court is one of the best examples in Wales of the manor house, fortunately avoiding destruction in the Welsh rebellion despite battles nearby. It is the largest natural lake in Wales and lies in a hollow formed by glacial action. 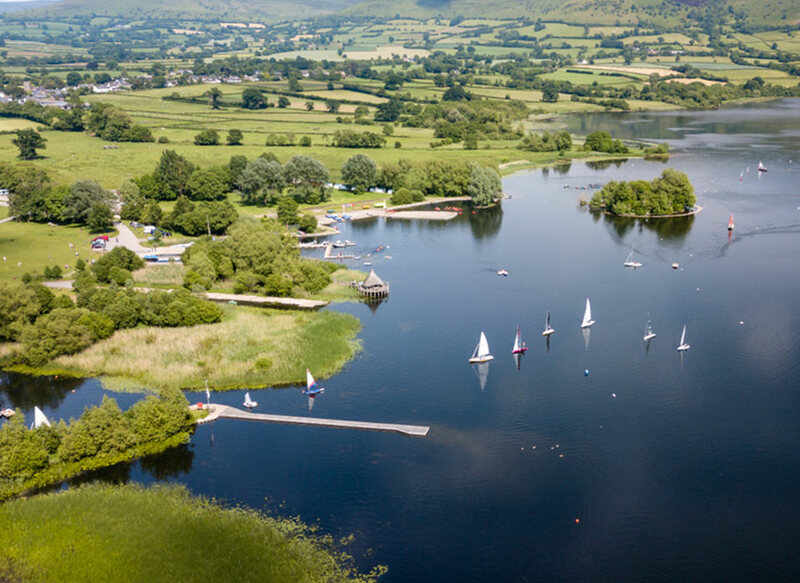 Surrounded by a rolling patchwork of green hills, fields, meadows and hedgerows, Llangorse is a beautiful spot and a lovely place to sail, canoe, paddle or walk through the meadows and fields around the edges. One of the UK’s most beautiful and yet challenging areas of windswept moorland, waterfalls and river valleys. 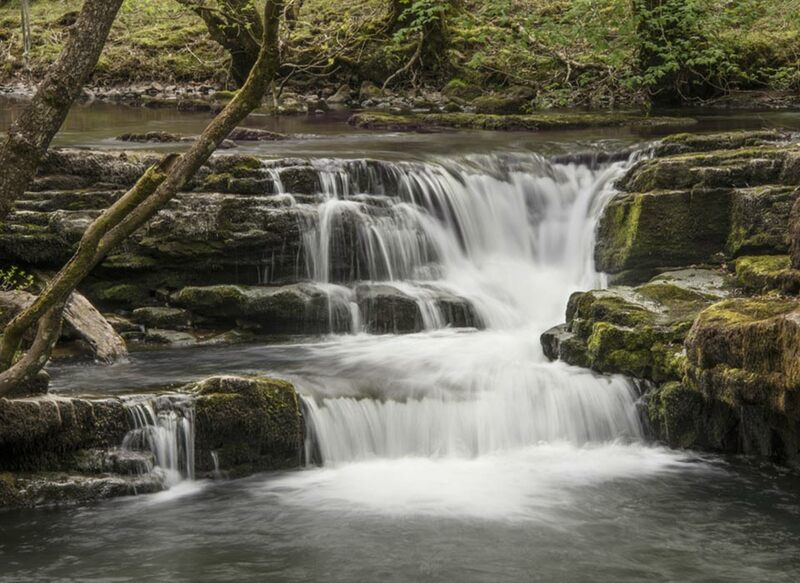 Loved by hikers and feared by Army recruits the Brecon Beacons is an area of outstanding natural beauty. Start at the historic town of Hay on Wye, beloved of book readers, on the edge of the Brecon Beacons, with a small excursion to Llanthony Priory, follow the road to Brecon with its fine buildings including a castle, cathedral and canal basin. Then on to the Black Mountain Pass on the A4096. The road is a delight, which is why many visitors will make more than one trip along it to take in the scenery. Then head on to the waterfalls of Sgwd Henryd and Ystradfelte. The latter featuring a path behind one of the falls. The water has eroded this area of limestone rock over time also creating a series of caves. 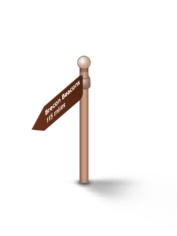 Take a trip on the Brecon Mountain steam railway up into the Beacons and back before heading for another market town, Crickhowell. On the banks of the River Usk the town has both castle and iron age fort remains as well as a commanding 17th century stone bridge. The town is on the edge of the Glanusk Estate, a substantial private estate with 16,000 acres of common land and 5 miles of the Usk. 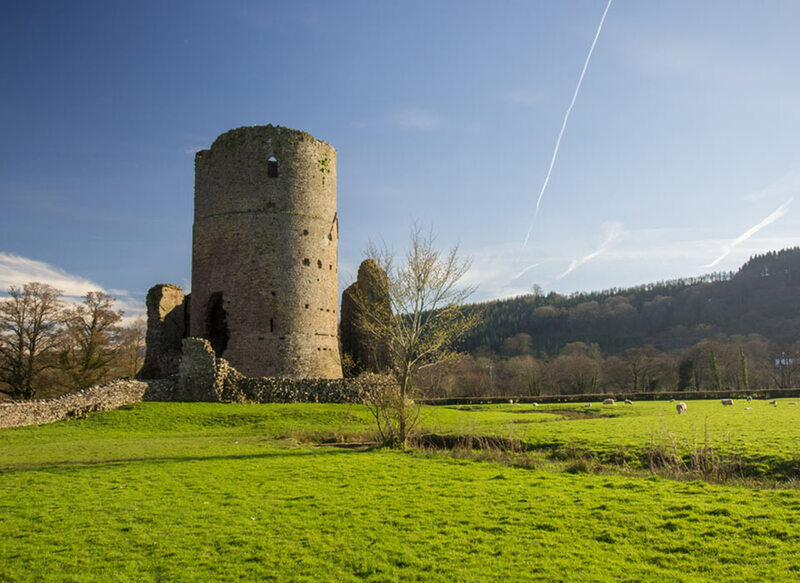 At Tretower you can explore the 13th century castle ruins and Tretower Court a 15th century fortified manor house before heading for the relaxation of the Llangorse Lake area where you can admire the scenery on foot, cycle, horse or from a boat. With water coursing down river valleys through a classic limestone landscape the wonder of nature is revealed with many waterfalls and cave systems. The most exciting combination at Ystradfelte includes a path that winds its way through a wooden valley and behind one of the falls. At Henryd the falls drop 90 feet. After featuring on Top Gear as one of the best stretches of road in the UK few would argue this stretch of turns, drops and climbs on the Black Mountain Pass on the A4069 is an experience. Set in moorland countryside it has an appeal to all standards of driver. It is also patrolled by sheep and speed cameras so be careful. Whether admired from the car, on horseback, walking, cycling or in a canoe the landscape and wildlife can captivate all generations. 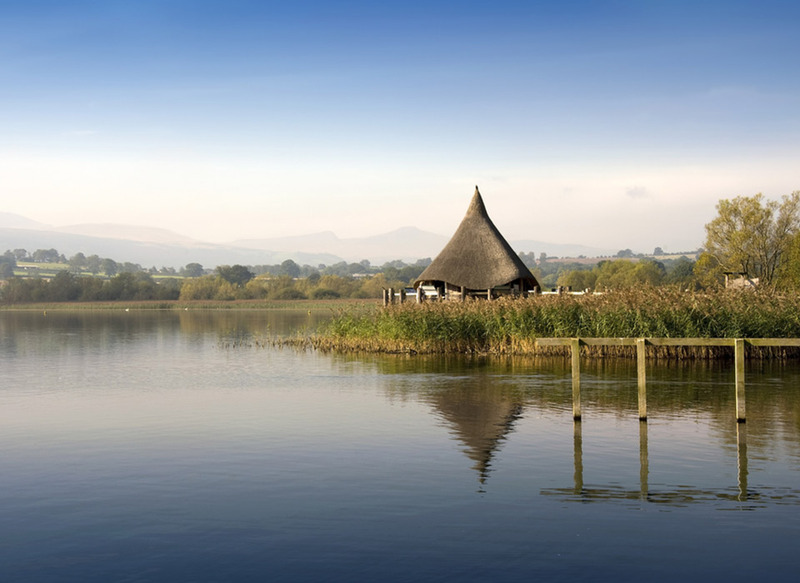 An area of outstanding natural beauty combining wild moorland sculptured by the Ice Age, peaceful lakes, wooded valleys and slow moving rivers the Brecon Beacons is an unspoilt wilderness with few towns and villages to impede the view.